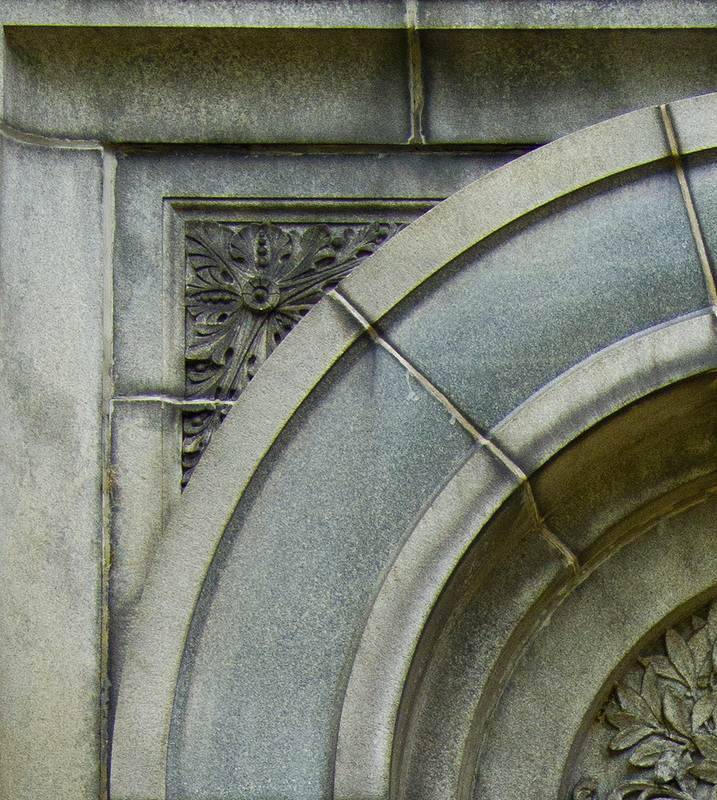 A couple of weeks ago, we visited the Forest Home Cemetery on Milwaukee’s south side. 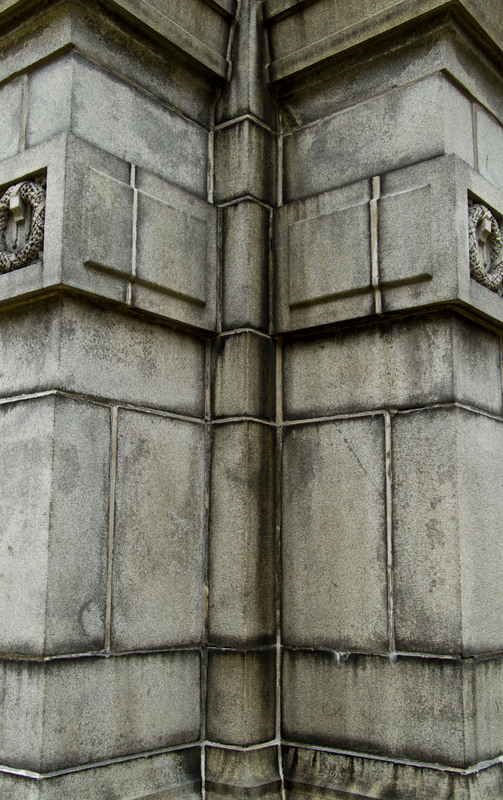 The cemetery is located in the neighborhood called “Lincoln Village” and is a magnificent oasis of quiet and dignity in the middle of a high-energy part of the city. Honestly: even the squirrels on-site were moving with a certain gravitas. Of course, that made the woman carrying a camera and trying to scale the sides of large grave-markers really stand out. Awkward moment, when even the squirrels view you with small squirrelly sneers. 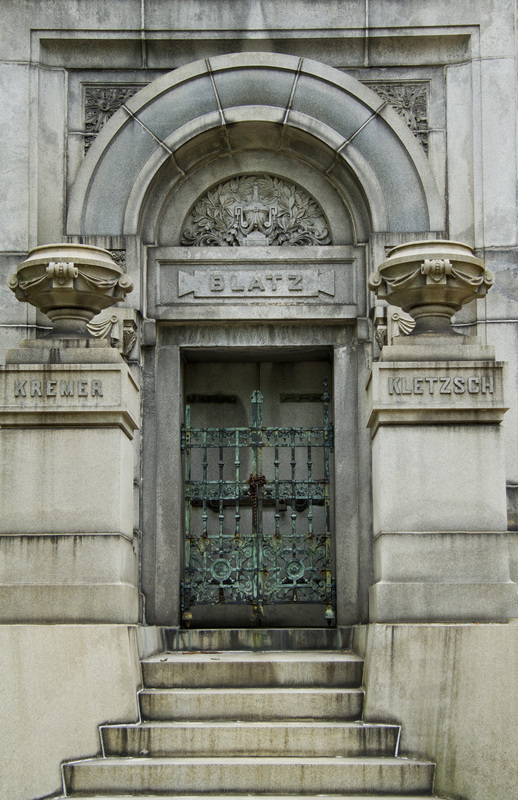 Originally, I’d intended to do a piece on all the Beer Barons of Milwaukee who are buried at Forest Home, but the Blatz Family crypt is such an incredible structure that I felt it deserved its own chapter. I’ll get to the rest of the crowd–Pabst, Schlitz and Jacob Best– in another post. 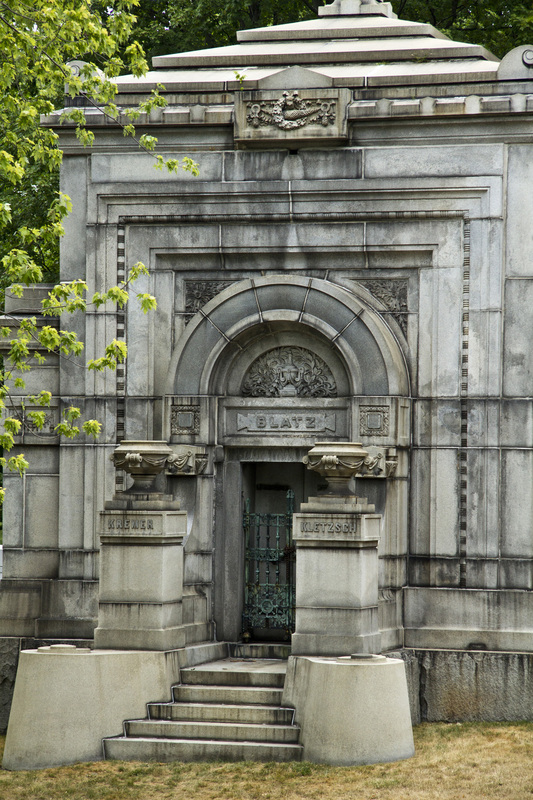 I went to the cemetery as a photographer, not as an historian, so if you are anxious for floor plans or an accounting of all those who slumber within the Blatz crypt…can’t help you there. I can tell you that this is the final resting place of one Valentin Blatz (1826-1894), Bavarian immigrant and founder of the Blatz Brewery. My friend, Anne, has a mom who is in her 80’s and a lifetime fan of Blatz beer. Anne says that she’s pretty sure that her mom’s vision of the Gates of Heaven might look a lot like the shot above. Did I mention the whole beautiful thing? Color, line, angles, textures–as a photographer, it was difficult to move myself past this one monument. 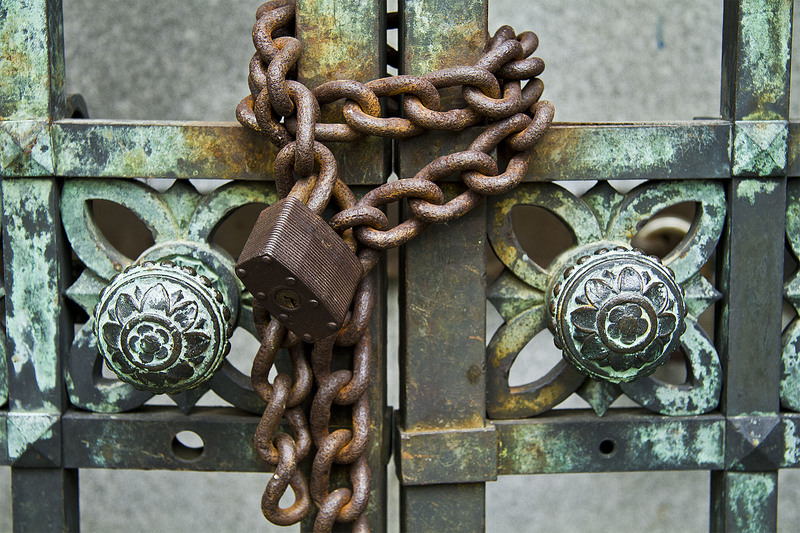 One final detail: the serious chain and lock securing the gate at the entrance to the crypt. Still to come: Pabst, Schlitz, Jacob Best, Krug and Uhlhein and the rest of the Beer Barons.